Our family was excited to have the opportunity to see Toy Story Land at Walt Disney World on our July 2018 vacation. Planning our Toy Story Land trip was great fun and coming up with a summer strategy was different than our usual spring and fall trips. We knew that it would be extremely hot during the middle of the day, so we structured our schedule with a Fast Pass or activity in the morning, then a mid-day lunch reservation usually back towards our hotel so we could take some time back at the pool or animal watching at Animal Kingdom Lodge. Then in the evenings, we would head back to the parks for more Fast Passes and fun. The day we had on our schedule for Hollywood Studios turned out to be a bright and clear day, but also very HOT. So the mid-day break was welcomed! We took some time to go over and see the new Toy Story Land area, grab some lunch at Woody's Lunch Box, and then went back to the resort to rest for a bit. Then we headed back to the park in the evening to ride Slinky Dog Dash! 1. Slinky Dog Dash - This ride was such fun! Definitely a must ride on your vacation and would be my pick from the Tier 1 rides for Fast Passes. It has a good length, and is full of fun drops, turns, and "slinky bounces" towards the end. 2. Becoming a Toy! - Ever wanted what it was like to be toy size? Well Disney may not shrink you down, but now you can feel like one of the toys are you're walking around Toy Story Land. Even the restrooms were adorably themed! 3. Lunch at Woody's Toy Box - While I will admit, this is not my favorite quick service location on Walt Disney World property, Woody's Lunch Box had some great grab and go items for a quick snack or lunch. The "Totchos" were my favorite and will be my must order item on future trips! 4. Green Army Soldiers - The Green Army Soldiers were always a fan favorite when visiting the Toy Story area at Hollywood Studios, and now that Toy Story Land is open they play an even bigger role in the fun! 5. Alien Swirling Saucers - This was a fun ride, that was reminiscent of the Tea Cups ride, but with a spin. No pun intended. The cars hop between tracks while you're riding, so that it adds an extra element to the ride. It was neat ride, and if you can't get Slinky Dog Dash, would be my second choice for a Fast Pass. As a bonus, on the way out - check to see if they have the alien Toy Story Land cups in stock. They make a great commemorative souvenir to bring home with you! **This is not a sponsored post. All opinions are our own. Thanks to Hatchimals for sending us this awesome box of Hatchimals to review on INToyReviews! The girls had a great time checking out these Season 2 Hatchimals CollEGGtibles, and opening the large egg cartons to see what was inside! Hatchimals are cute surprise toys that come inside a crackable egg, that reveal a unique animal character inside! We want to share the fun with you and are hosting a giveaway here on Being Mommy with style for a Hatchimals CollEGGtible 5 pack and blind bag! Enter to win below! A winner will be selected at random on June 8, 2018. Check out all of the fun animals the girls opened in their video above, and see if you have any twinsies! ** This is a sponsored giveaway from Hatchimals. All opinions are my own. Dan's Disney Dad Tips & Favorites! Dan is back with his own Disney video mini series, and is sharing some of his favorite Disney dad tips and things to do inside Walt Disney World! Our next Walt Disney World trip is coming up this summer, and we're excited to be staying at ANIMAL KINGDOM LODGE! An all-new resort for us to try! Our family is very into animals and Animal Kingdom, so I think it will be a great fit for us! I'm also looking forward to seeing the new Toy Story Land at Hollywood Studios on that trip! Lots of summer Disney fun happening for our family! And we will be sharing it all on YouTube! Recently I was contacted by Scopely and BSM Media to check out the new Yahtzee with Buddies app! I downloaded it on to my iPhone 7s from the App Store and began to play right away! 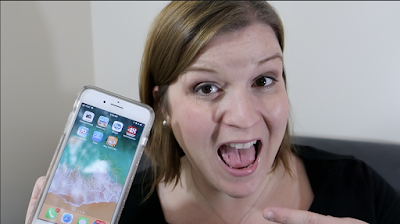 The app is fun and bright, and I love the various options of play available within the app. I love games like this that give you the instant satisfaction of being able to complete a game quickly, but also have longer term events within the game - so it keeps you coming back. If you're unfamiliar with the traditional rules of Yahtzee, you roll 5 dice a series of up to 3 times - trying to get the best sets possible. You're rewarded for getting 3 of a kind, 4 of a kind, and the ultimate - 5 of a kind which is a YAHTZEE! There are also various combinations you can put together for extra points, a series of numbers on the die and a set of two with a set of three. It's fun to play and easy to pick up on the rhythm of the game. You can download the app for FREE and see how fun it is for yourself! Available for iOS and Android. Download HERE. 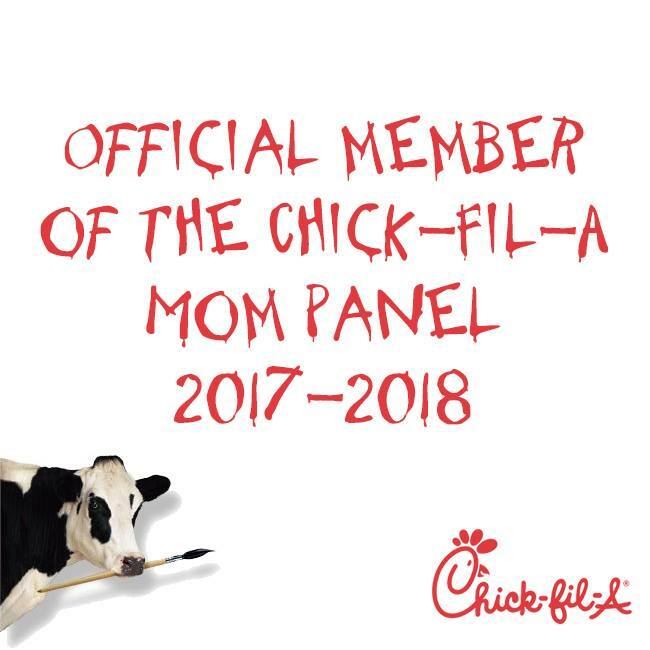 Also, while you're on there - make sure to find me... AmiableRooster3741. (Apparently. I didn't think about changing my name before I was just in TOO deep! Ha!) And you can play ME in Yahtzee with Buddies! 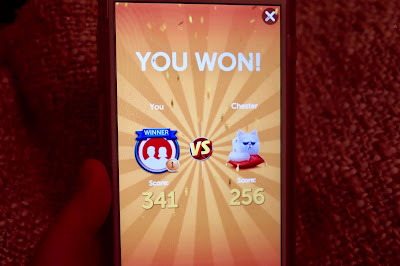 ** This is a sponsored post by Scopely for Yahtzee with Buddies. I was compensated to try this app. All opinions are my own. We've previously used Educational Insights Playfoam to build holiday decorations and a habitat for Moana figures. Now they've made a new toy surprise that combines the fun of Playfoam - with the surprise of a blind bag! They are available at major retailers throughout the country, and also available on Amazon.com. Playfoam Pals are available in pink, purple, yellow, blue, orange, or green. The units are sold in individual units from retailers, or sold as packages of 2, 6, or 12 on Amazon. There are lots of different uses for Playfoam. Here are some of our previous videos where we've made fun things out of PlayFoam! As you can see, it makes for great sensory play! We're had a fun time building our imagination with Playfoam and love that they've combined the idea of a blind bag in with their product. That adds a fun twist to the original concept. It's great sensory fun and a wonderful addition to sensory bins with tons of uses! ** Items shown in this review were received complimentary. All opinions are my own. 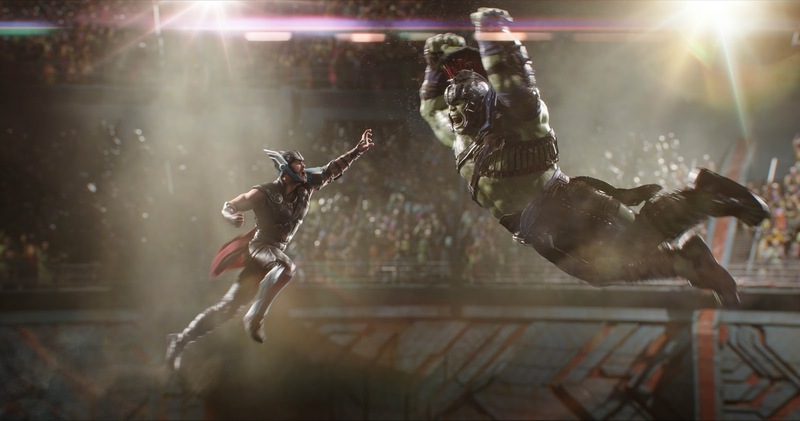 My husband and I finally got around to watching Thor: Ragnarok last night. (I know, I know! We are so far behind... we had been busy with work & traveling...and had missed seeing it in theaters - but thank you Disney SMMC for the Movies Anywhere voucher to watch the movie at home because it was an AWESOME movie!) We loved the humor mixed throughout the movie and seeing Hulk and Thor team up was a great preview of the awesomeness that will be... Avengers: Infinity War. Avengers: Infinity War teams up pretty much the most well-known Marvel cast of super heroes... 68 of them to be exact. They will teaming up to prevent Thanos, a Titan Warlord with a thirst to be the supreme ruler of everything... in the universe - from getting a set of Infinity stones that would allow him to do just that. 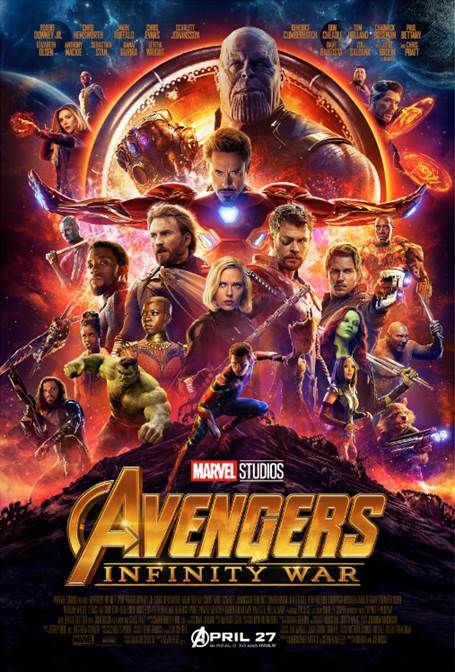 Already in the previews, you see that Iron Man, Hulk, Captain America, Spiderman, Black Panther, Black Widow, and Thor will have plenty of screen time throughout the film based on the trailers... that is unless one of them gets killed within the first 5 minutes of the movie and Marvel was tricky and used most of their screen time prior to that for the trailer! I'm excited that I already know I will be THERE at opening night for the show on April 27th, as the office that I do social media for "out in the world" is renting out two theaters for our clients to see the show - and I of course will need to be there, ahem, help - with the event. So for once, getting to see the show on opening night! I've always enjoyed the Marvel series of movies, even though I have never read any of the comic books in the past. The story lines are easy for me to follow and connect the characters from movie to movie, even with maybe not knowing the entire backstory quite as well as my husband. (Who DID read a ton of comic books as a kid!) The stories are engaging, enduring, and leave me wanting to see more. Now, to see Black Panther in the theater before Avengers: Infinity War - because Avengers: Infinity War arrives in theaters on April 27. 2018 and Black Panther comes out on DVD in May 2018. This will be great to make sure we are fully set up on the storyline prior to seeing all of the characters come together. I can't wait to see what this latest take on the Marvel universe dishes up for fans! ** Some items referred to in this article were received complimentary. All opinions are my own. 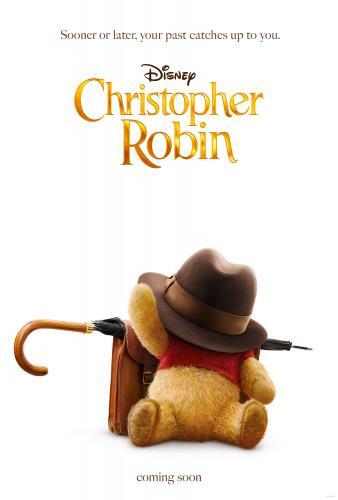 During the first general conference session at Disney Social Media Moms Celebration 2018, we were given the treat of being the first group of people to see the newly released teaser trailer for the new movie, Disney's Christopher Robin. The movie features some of our favorite childhood character pals - but in a way we've never quite seen them before... Winnie the Pooh and friends are brought to life in this live action film that features a star-studded cast and enduring story. Christopher Robin is all grown up and he's lost the whimsical nature he had as a child. As an adult, he has a family, responsibilities, and is tasked with trimming down the employees at a company still reeling from the effects of the Great Depression. Disney's Christopher Robin stars Ewan McGregor as Christopher Robin himself, Hayley Atwell as his wife Evelyn, and Bronte Carmichael as his daughter, Madeline. All of the beloved stuffed characters are played by voice actors and appear in the movie as both stuffed versions of themselves, and with a bit of magic (also known as CGI) that allows them to come to life and interact with all of the rest of the characters on the screen. Audiences will notice that the voice of Winnie the Pooh sounds very familiar, as Pooh is being voiced by Jim Cummings, who has voiced the character for Disney since 1988. 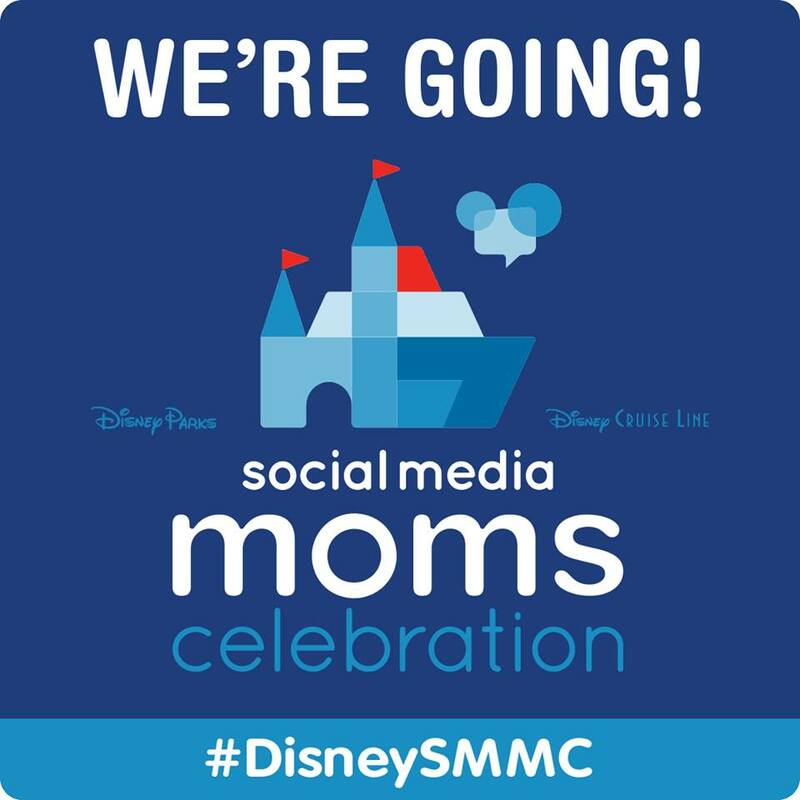 Seeing the trailer for Disney's Christopher Robin at Disney Social Media Moms Celebration 2018 was truly a treat, and I'm looking forward to seeing it in its entirety with my girls. They already know and love the Winnie the Pooh cast of characters from both the ride at Walt Disney World, and watching animated videos of Pooh and his pals, so I'm interested to see their reaction to the live action version. 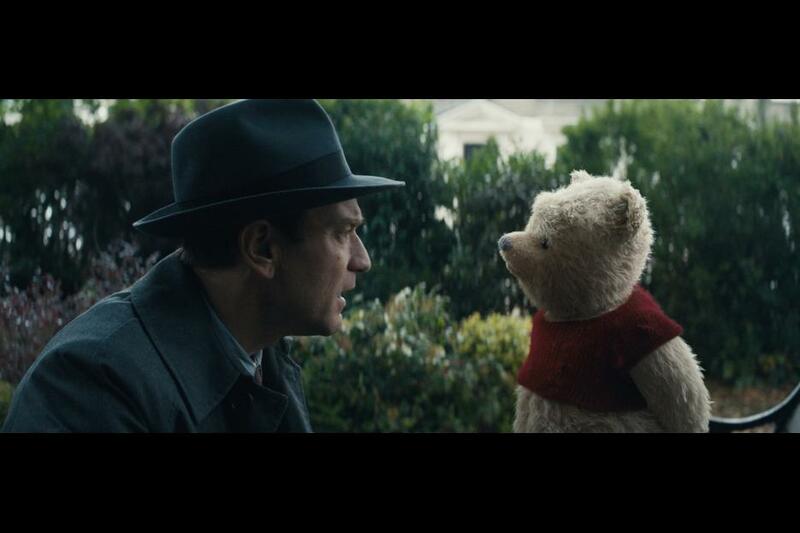 Disney's Christopher Robin reminds us of who we thought we were going to be when we grew up. A reminder that just because life is full of responsibilities as an adult, we all still have that child and their dreams inside of us. I'm interested to see where Christopher Robin's journey takes him and how he addresses returning to his adult responsibilities at the end of the story. 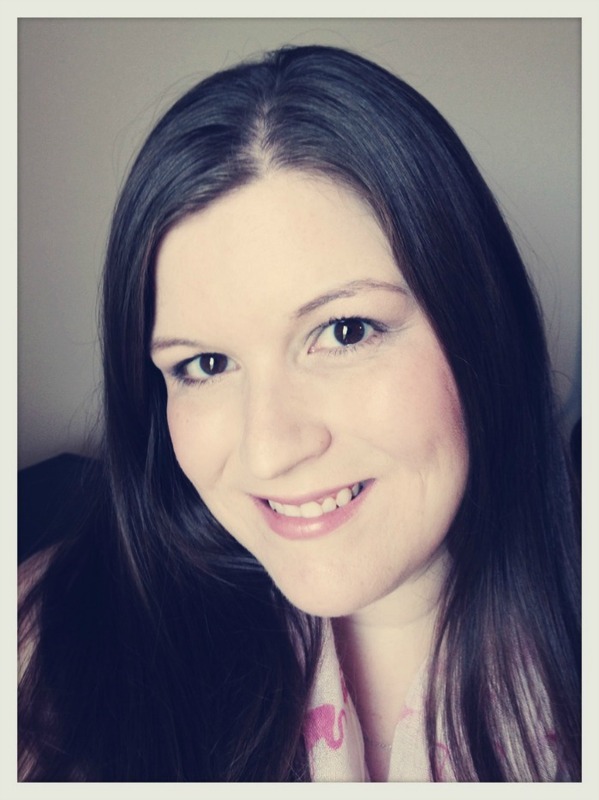 In the general session of Disney Social Media Moms Celebration 2018 at Walt Disney World, Kristin Burr, producer of Disney's Christopher Robin, spoke to our group about the production of the movie and how it touched her heart as a "grown up kid". 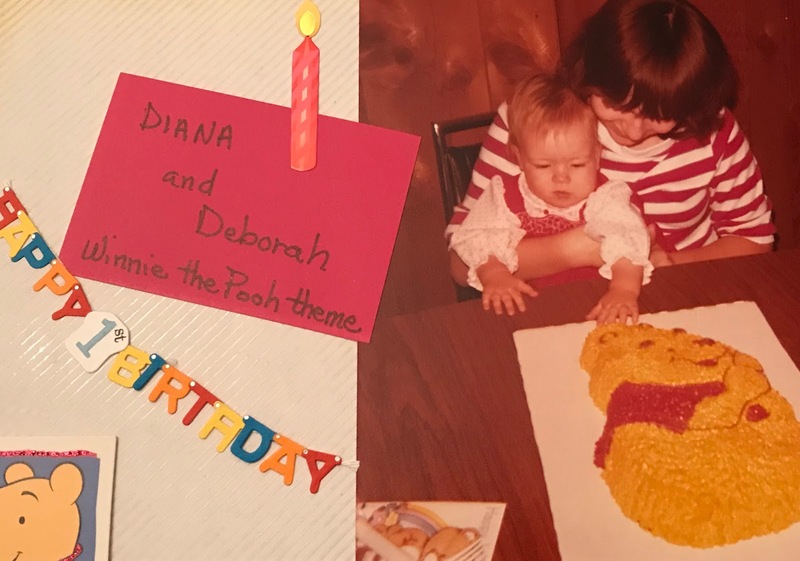 As she spoke with care about bringing these beloved characters "back to life" for a new generation of Pooh fans, you could immediately tell - Winnie the Pooh was in good hands. Most of all though, I am looking forward to watching Disney's Christopher Robin and hopefully being reminded of what that little girl inside wanted to be when she grew up. Winnie the Pooh has some of the best life lessons of all time, and perhaps it is just what an overworked adult, rushing around to meet all of the demands of a busy life needs... to be reminded of who they were always meant to be, by spending some time in the Hundred Acre Woods. At my first birthday! 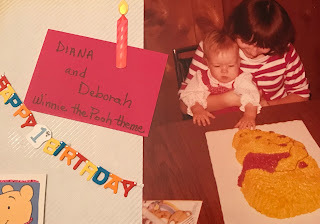 (With a Pooh cake!) Fun fact... my room was decorated in Winnie the Pooh when I was a baby! Disney's Christopher Robin releases in theaters nationwide on August 3, 2018. Follow by email to always get my latest posts! Di from Being Mommy with Style! Disney Dream Cruise - Fun for ALL Ages! Our Spring 2016 Vacation to Walt Disney World!